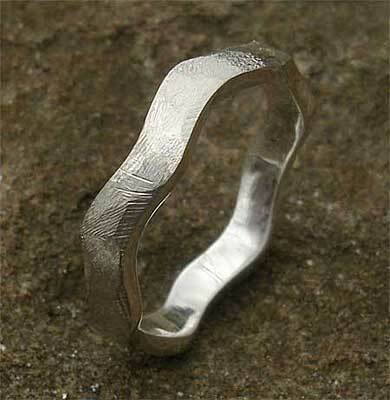 Contemporary Silver Wedding Ring : LOVE2HAVE in the UK! 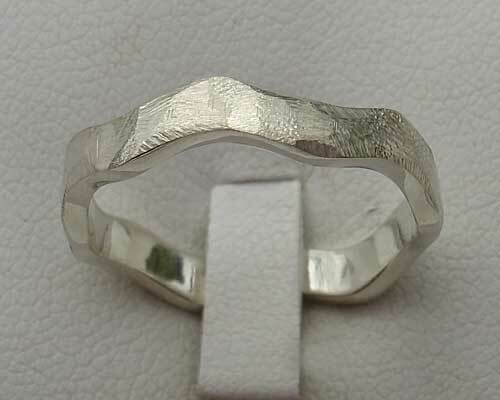 Another of our contemporary UK made silver wedding rings in a wave shape but this time featuring a distressed surface texture. These type of textures look almost scuffed when they come out of the box with their pitted hammered styling. They maintain their look through everyday wear and tear so if your ring accidentally scratches it is virtually unnoticeable and blends in with the designer appearance. The version we have listed is 3mm wide, but a 6mm wide one is available also. Please email us for further details. 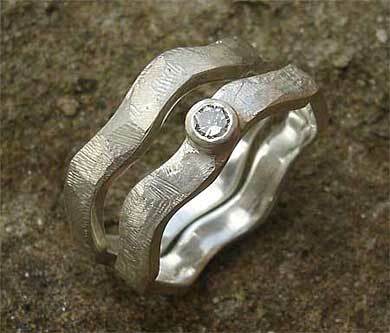 Also available is an engagement ring version too with the same texture. Again please email us for more information. Width(s) Available: 3mm or 6mm.